Many thanks to Mobility goes additive e.V. which will host the event in its new office. Following the very successful first AM Ladies Lunch in 2018, Mobility goes Additive e.V. in cooperation with IPM AG invites to a meeting of female specialists and executives - to the European Summit for Women in AM. The aim is to support the networking of women in specialist and management positions in the additive world, to inflame more women for the topic and thus to open up new potential for the future technology of additive manufacturing. Five exciting lectures as well as a panel discussion will be the content part of the conference. In addition, the focus will be on a relaxed exchange among each other in a stylish and communicative atmosphere. The event will be followed by the pre-networking event of the ADDITIVE MANUFACTURING FORUM. On the following two days, the participants can visit the conference & exhibition of the ADDDITIVE MANUFACTURING FORUM at discounted rates. Beginning of the pre-networking event of the 3rd ADDITIVE MANUFACTURING FORUM Berlin 2019. Participation in the reception is included in the price. Stefanie Brickwede is passionately responsible for the introduction of 3D printing at Deutsche Bahn AG and is building up an international, neutral network "Mobility goes Additive". 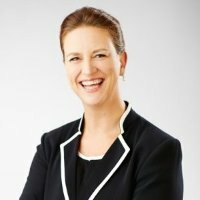 The graduate economist started her career in the mobility sector in 1998 and held various project management and leadership positions. Since her first encounter with a 3D printer in 2010, Greta has collaborated with designers, received a PhD in AM in 2016, trained hundreds of engineers and helped numerous companies developing AM strategies. Over the years, she has built more 3D printers than she can count, including a food printer in collaboration with MIT. She is now Head of Technology at AMEXCI. Having attained a Diploma in Speech Arts and Speech Training at Stuttgart's State University of Performing Arts, Simone has over 20 years experience in training executives, singers and newsreaders how to use their voice effectively and to speak in a convincing and confident manner. She is also a TV documentary narrator. Marie Langer is 2nd generation of the owner family of EOS GROUP and AM Ventures. She studied psychology, gained several years of experience in leadership positions and since two years she is together with her brother, Uli Langer, in the process of taking over the group of companies. Before joining DG RTD she worked in different senior management positions in DG TRADE since 2006. From 2011 to 2018 she was Director for Trade Strategy, Analysis and Market Access in DG TRADE. Previously (from 2007 to 2011) she was Director for WTO, legal matters and food-related sectors in DG TRADE, covering also covered OECD issues, export credits and export controls of dual use goods. After joining the Commission at the beginning of 2006, she held the post of Principal Adviser in DG TRADE for the first year. Valeria Tirelli is the Chief Executive Officer of Aidro Hydraulics & 3D Printing, an Italian company that specialises in implementing additive manufacturing in hydraulic applications. She manages the enterprise, founded by her father thirty-six years ago. Valeria’s knowledge of fluid power products and 3D printing is transforming the business and moving it towards industry 4.0. Additive manufacturing addicted – in the industry since 2011. 3D Systems attracted Lisa Widmann 2010, while she was working for one of the top SolidWorks resellers in Germany. Lisa decided to switch from software to hardware. Since then she has worked for two of the pioneers of the industry - Stratasys and 3D Systems. Thanks to the sponsors which made a reduced participation price of 250 EUR possible. * All prices excl. VAT Registrations are possible online until March 12, 2019. In case of cancellation until the 30th of January 2019 we will refund the registration fee minus a processing fee of 100 €. For withdrawals after this date a refund is no longer possible. In this case we ask you to send a representative. If the conference is canceled by IPM AG, the paid registration fee will be reimbursed immediately. Further claims are excluded.